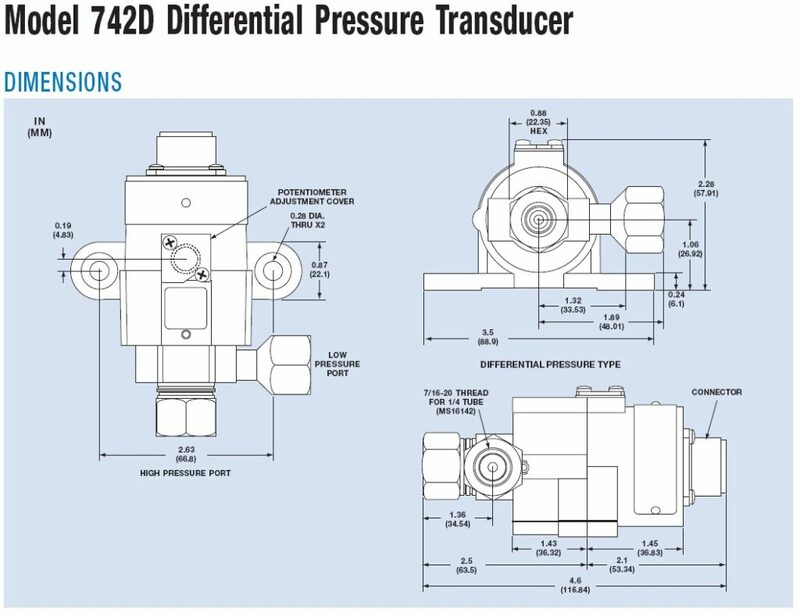 The 742D Differential Pressure Transducer has been specially designed to meet the needs of military and/or marine applications and conforms to military specification MIL-T-24742 (SH). 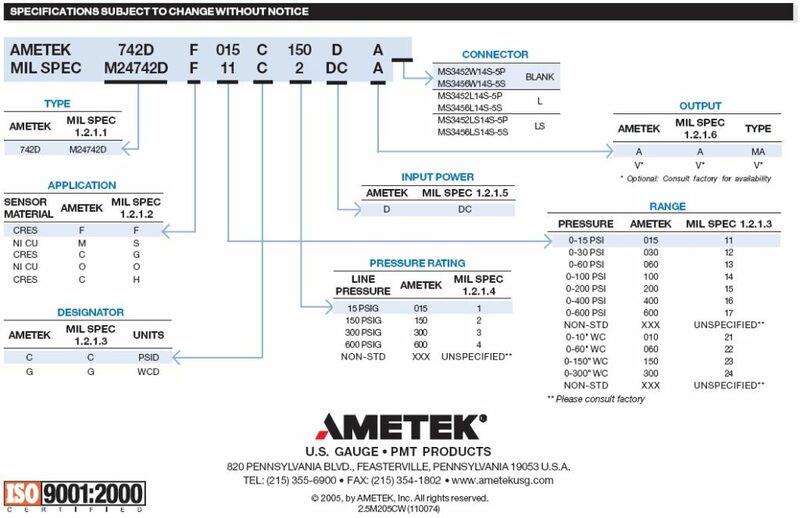 The 742D accurately measures differential pressures and transmits a fully adjustable 4 to 20 mA or 0-5 VDC output signal for remote display, recording, or control. The 742D is available in differential ranges from 10 inches of water to 600 psi. 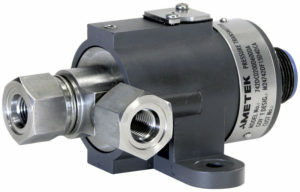 The 742D transducer is directly interchangeable with existing pressure transducers designed to MIL-T-24742. The mounting is designed to match the footprint of existing transducers for quick and easy installation. Calibration is quick and easy with the non-interacting zero and span adjustments. Non-interacting zero and span adjustments for quick calibration.